As we launch into 2016, companies find themselves in need of deeper and more specialized skill sets to overcome the challenges of the day and build greater value. At the same time, organizations are watching the bottom line. The rise of interim and fractional leaders filling the void is here and this tide does not appear to be turning anytime soon. Access to fractional leadership is not just for early stage companies. We have seen this trend take off in middle market companies as well. A fractional engagement is a great answer for the early stage (up to $20 million) company that can’t afford (or shouldn’t spend the money) for a sophisticated full time CFO or VP of HR, for example. These organizations do need high level, on-demand expertise to guide through the critical high growth stages, just not on a full time basis. 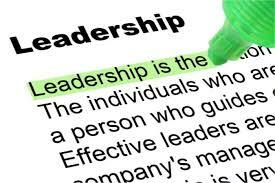 And these fractional leaders can manage and mentor the internal staff as well. In the middle market, we see many companies that have loyal, long standing employees that have been “home grown” to their max potential. With the growth of the fractional and interim executive, there is a significant opportunity to leverage experienced consultants to manage and mentor the team companies have so much invested in. Partnering your current senior-level internal employee, you really hope to promote to executive-level, with an Interim “C-level” leader to learn ropes, yields a better leader with all the historical knowledge. Maybe it’s not time to trade out, but train up. Interim execs can help in times of trouble. They have different “skin in the game” and have no issues with delivering the tough messages. During times of significant change, an interim executive can be a better answer allowing time for the organization to turn things around, get things in order and prepare for a new team to be successful. Just as in hiring on a full time basis, culture fit counts. This person will be a part of your team and the fabric of your company. Make sure they fit with you, your team, your Board, investors etc. Do they have a track record of delivering what you need? Check the experiences that other companies have had and talk with service provider references. The best bankers, accountants, attorneys etc are all great sources of information. If they have worked with and can vouch for the effectiveness of the resource, then you should feel better about the decision. Can they offer additional arrows? You need your executive to stay strategic (that is what you are paying them to be)…but there is always some block and tackle work that needs to be done. So, look for a firm that can offer additional talent at various levels that your interim or fractional exec can leverage. The Fahrenheit Group is a full-service advisory firm that helps growth-oriented organizations overcome their most difficult hurdles to success and challenged companies to find their way. Our team is comprised of senior business leaders and consultants with real-world experience in three practice areas – Accounting and Finance, Business Advisory and Human Resources. We leverage the extensive knowledge of our team to understand clients’ true needs and implement practical solutions. Our team of seasoned, C-level executives and consultants collaborate with management and define strategy, building road maps to execute and deliver measurable results. We serve clients across all industries ranging in size from emerging growth companies to Fortune 500, including angel, VC and private equity backed portfolio companies.